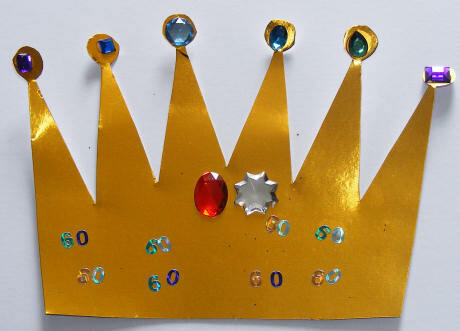 Cutting, sticking, decorating, gold card and jewels - what more could one need for this very royal crown craft! 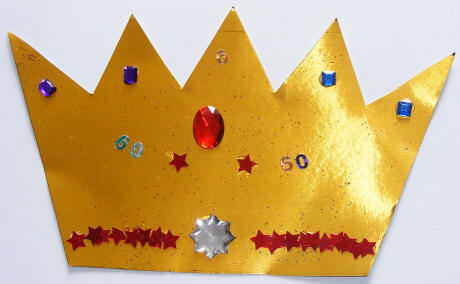 Use one of our templates to help you cut out a crown from gold card. Decorate the crown with glitter and gems. 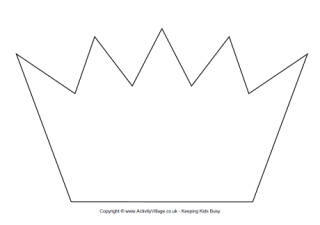 If you like, you could cut a strip of card to go around your head and glue your crown to it so it can be worn. The Flotilla on the Thames during the Diamond Jubilee was one of the most memorable events of the Diamond Jubilee, and we made this craft to celebrate that event. But a sailing flotilla is a glorious sight for any occasion - so why not capture the excitement with your own flotilla collage? Make three kings for your own Christmas handmade nativity scene, or dress up a king, queen, prince or princess for some special fairy tale characters! 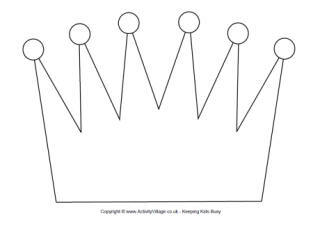 Your child will feel like a real King or Queen when they have made their own imperial crown craft to wear!